April Fools’! We aren’t really introducing new giant donuts to create the first Super Dough Coffee Cup Holder. We’re just celebrating the spirit of April 1st with a joke we hope makes you smile today. Are we still friends? 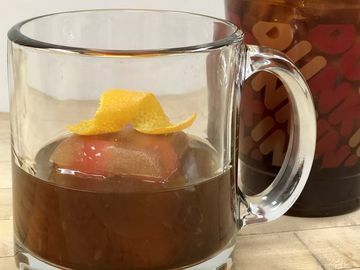 Pranks aside, there are a couple things you should know about this April Fools’ joke. First, Rick Golden, Manager of Donut Excellence, was the mastermind behind the giant donuts used for this iced coffee cup holder. 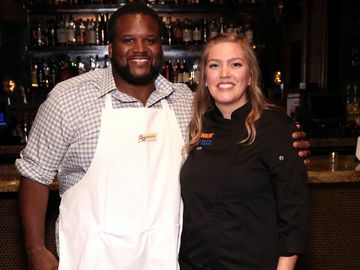 He had a ton of fun taking our donut-making process to the next level (literally!) for this epic creation. 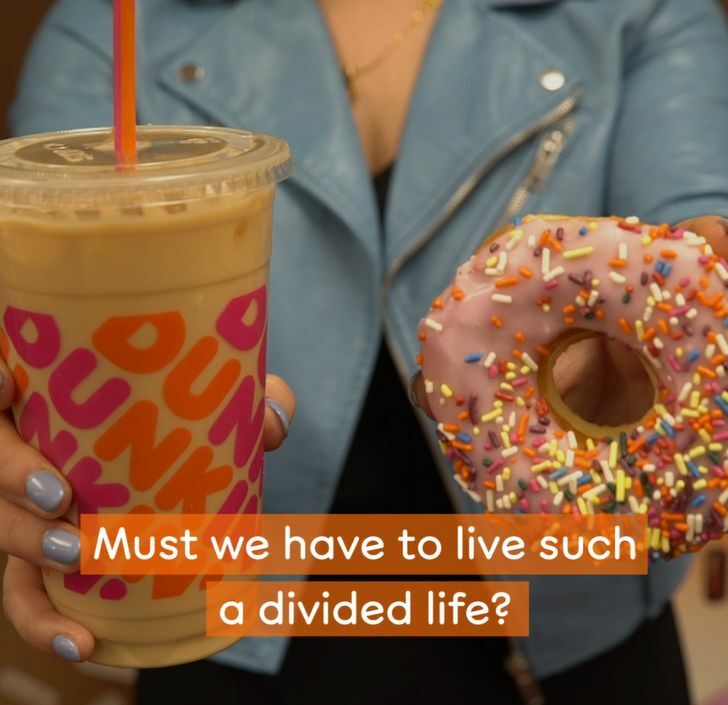 If you’re looking for an actual new donut treat to enjoy, one of the most iconic candies of Easter has landed at Dunkin’ to make the season especially bright, happy and colorful. Beginning today, at participating Dunkin’ restaurants nationwide, we’re offering the PEEPS® Donut*, featuring white icing, a special green and egg-shaped sprinkle blend and a mini yellow PEEPS® Marshmallow Chick on top. 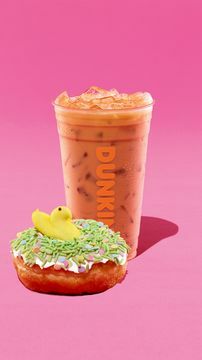 For coffee lovers, Dunkin’ is offering a new PEEPS® Marshmallow Flavored Coffee that brings the delightful, creamy taste of classic PEEPS® Marshmallow to Dunkin’s hot and iced coffee, espresso drinks, frozen coffee and frozen chocolate. It’s a perfect way to stay fueled for spring and is delicious even without an edible cup holder. To “drive” even more excitement and chances to enjoy these new items, our custom-sculpted coffee car is hitting the road alongside the PEEPSMOBILE®. 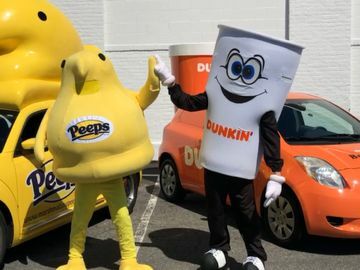 Starting tomorrow and running through April 4, both cars will travel from the hometown of PEEPS® in Bethlehem, PA toward our birthplace of Quincy, MA, stopping at a total of six Dunkin’ restaurants along the way where we’ll treat the first 250 guests to a free small PEEPS® Marshmallow Flavored Iced Coffee, PEEPS® Donut and other fun giveaways, while supplies last. 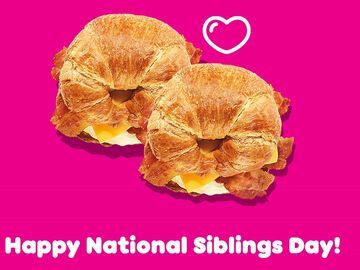 Follow @Dunkin on Instagram for details on where the cars will show up! 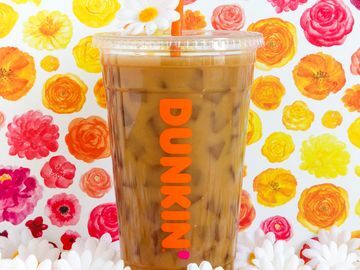 How are you sweetening up your spring with Dunkin’? Let us know on Facebook, Twitter and Instagram!